Since 1963, Stone Depot Landscape Supplies has been the premier provider of soil, mulch, stone, gravel, sand and concrete pavers to landscaping contractors and private customers throughout Oakland County, MI. Our friendly, professional staff works hard to provide these quality supplies at reasonable prices! Even the best landscaping work needs to be rooted in quality materials to ensure it comes out looking great. At Stone Depot Landscape Supplies, we understand this better than anyone, which is why we take pride in providing our customers with a full range of landscaping materials of the highest caliber, all at competitive prices. 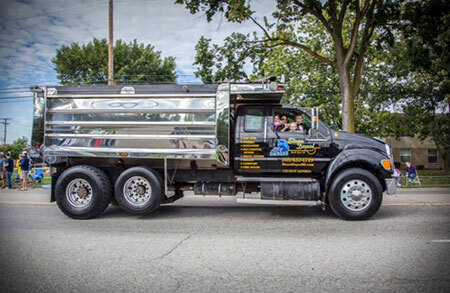 We believe you should have access to only the best topsoil, mulch, stone, sand and gravel in Oakland County, MI, which is why our team takes the time to cultivate only top-tier materials. Moreover, we’re also experts when it comes to the materials we sell and can help you determine what might work best for your project. We deliver in all four seasons, providing landscaping supplies in the summer and salt during the winter. We’re a proud, family-owned and –operated company with a rich local history. Our team is always going the extra mile to ensure superior satisfaction among all our customers. You’ll always find honest, transparent pricing when you work with us! From dirt to mulch, gravel to pavers and beyond, we’re your premier resource for any and all landscape materials. Get in touch with us today for more information about pricing and delivery.